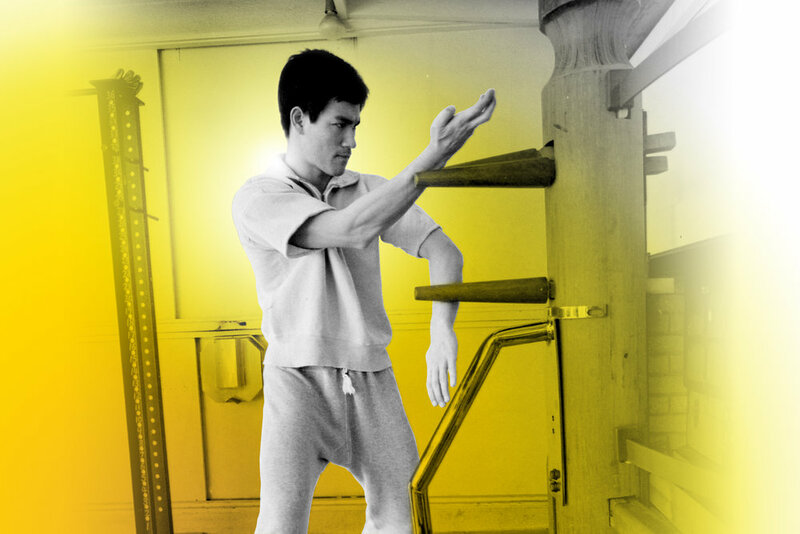 The idea of constantly researching and refining your own experience was key to Bruce Lee’s way of life. When Bruce decided to break away from traditional martial arts, he wanted to know what really works in combat and how to train your body for real conflicts. Bruce viewed the process of fighting holistically from fitness to nutrition and researched his own body by experimenting with cardio, weight lifting, nutrition and supplements. He researched fighting techniques such as boxing and fencing, branching out from his traditional wing chun training. Bruce only incorporated what was useful to him and left the rest behind. This quote is the recipe for finding your path in this world and the first step is “Research your own experience.” Be neutral, be the researcher, understand what’s going on with you from a neutral place. Notice what you normally gravitate towards and notice what you enjoy in the tasks you already do in life. This includes everything from what you to eat, what you like at work, how you enjoy spending your leisure time and your relationships. Who do you get excited about connecting with? Take note and journal your experience. The second step is: “Absorb what is useful.” After researching and noticing, pull out the things that resonate with you and that are working for you. These are the things that you keep and take with you. The things that bring usefulness in your life, bring you joy and create threads that attract more of the same. Absorb what is useful to you personally, not what society or those around you accept as useful. Take note of moments that spark your interest and grab your attention. If you write down these moments and thoughts, you will get clues as to what interests you and it will guide you to your path in life. The third step is “Reject what is useless.” This can be the most difficult step. It can be easy to identify the most negative things holding you back, but it’s harder to identify the mediocre obstacles. When you’re doing self-research, it’s important to pick out what is useful to your journey and leave behind what doesn’t work. When listening to advice for your goals or exploring what the experts say, you do not have to take in all their advice, but only pick out what resonates with you personally. If you don’t reject the useless in your life, you end up carrying it around with you and it can block what is actually useful and interesting in your life. The final step is “Add what is essentially your own.” This can seem daunting if you don’t know what is “essentially your own.” It is adding what speaks to you and having the confidence to believe in yourself. What inspires you, moves you, motivates you personally. This whole process is about radical trust in oneself and becoming the divining rod for our own experience. It is about paying attention to what ignites the spark within us. If you are tuning into this podcast, it’s likely because you’re interested in how Bruce Lee lived his life so authentically and learning the secret to success. This quote on researching your own experience is the secret. Bruce was able to simplify this complicated process into these four steps. The hardest part in this process might be adding what is essentially your own. This is because we go through life pleasing others and doing what we think we are “supposed” to do. Applying Bruce’s philosophy gives us confidence to pursue our own spirit. This idea is about understanding your whole self, including the light and dark within you and understanding the harmony between the two. As you go through the process and see what sparks you, good or bad, don’t judge it just note it, explore it, and allow it. Denying or judging something will not make it go away. If you refuse to examine what upsets you, you will never be able to address it and move beyond it. The final product of all of these ideas is ACTION. It is not enough to just think about something, you have to do the work. It can be difficult to implement new practices, like taking notes when something sparks your interest, but it is important work for yourself. If you take action to pursue an idea or interest, you can explore the path to figure out if you actually enjoy it or not. You have to participate in your own development. People think that to “Add something that is essentially your own” means you have to add something new or invent something that doesn’t already exist. The truth is that everything is built upon something else. Bruce Lee cultivated this philosophy through reading other philosophers and examining the parts that spoke to him and his experience. He was actively engaged in working through his ideas and experimenting on himself. Bruce used himself as the compass to determine what was “essentially his own.” Become your own compass. In addition to Bruce Lee, who are your other teachers, philosophers, writers, creative people, who you really connect with? Make a list of those people. There is something in that list of people that continually draws you to them, what is it? Remove your judgment and don’t censor your list based on what who you think you’re “supposed” to list. Take note of any thought or thing that catches your interest throughout your day and write it down. At the end of the week examine your notes and see what speaks to you. This week our #AAHA is Asian American comic book illustrator, Bernard Chang. Bernard did the cover for Bruce Lee: The Dragon Rises, which is how Shannon got to know him. They sat next together in a booth at a comic book convention and Bernard has since come and volunteered at a Bruce Lee Foundation event. Bernard was born in Montreal, and started drawing comics professionally while attending the Pratt Institute in Brooklyn, NY studying architecture. He has since gone on to draw for Marvel and DC comics, including X-Men, Deadpool, Superman, Supergirl, and Wonder Woman. Bernard was also a “blue sky” concept designer for Walt Disney Imagineering, designing a bunch of attractions in the Disney parks. He’s also collaborated with New York Times best-selling author Neil Strauss. He just recently drew a book that is an all Asian Superman. Bernard is currently based in Los Angeles. Bernard, we think you’re awesome! “Dear Shannon and Sharon, The purpose of my writing to you is to take this moment to congratulate you on the superb job you're doing hosting the Bruce Lee podcast. But before I get into all that, I want to briefly say to Shannon that, the indomitable spirit, combine with intellect and charm of your parents all resides within you. The spirits of both your father and brother are all around you, rooting for you, giving you strength, helping you to navigate your way while you journey on your path, or wherever you find yourself position in the physical realm of the universe. Albeit in spirits and images, their presence are eternal. Sharon and Shannon, with respect to the Bruce Lee podcast; your deciphering and explaining the philosophy and life, lived by one of the most dynamic yet humbled human being to ever grace the face of the earth is incredibly entertaining and educational. For any person, presenting such quality content, consistently, is quite a challenging task. But you handle it beautifully with ease. I recently stumbled on the podcast, and, listening to you two have me hooked. Both your sense of humor and infectious laugh, tinged with playful innuendos, and delivered with intelligence and professionalism, gives the narrative added dimension, therefore, orbiting the podcast into a domain of magnetic field of attraction. The chemistry between you two resonates a powerful sophistication enriched with substance and candor. I guess discovering, and loving everything about the Podcast, I will say is my Bruce Lee Moment.